Jars, Jars, Jars! We always have them and never know what to do with them! 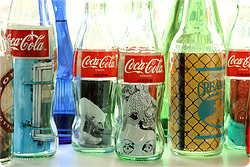 But now there is a create way to recycle and enjoy those jars. This look would be awesome in a shabby or country styled home! Simply take a photo slip it into the jar, turn that jar upside down...and voila, you have an adorable and unique frame idea! Measure how tall your jar is. If needed, trim the height of your photo to fit the jar (i.e. a 4‚6‚ photo will be too tall to fit in a 3 inch jar). Roll up the photo slightly and slide it into the jar so that the photo will be right-side-up when the jar is upside-down. Poke it into place with your fingers or the eraser end of a pencil. 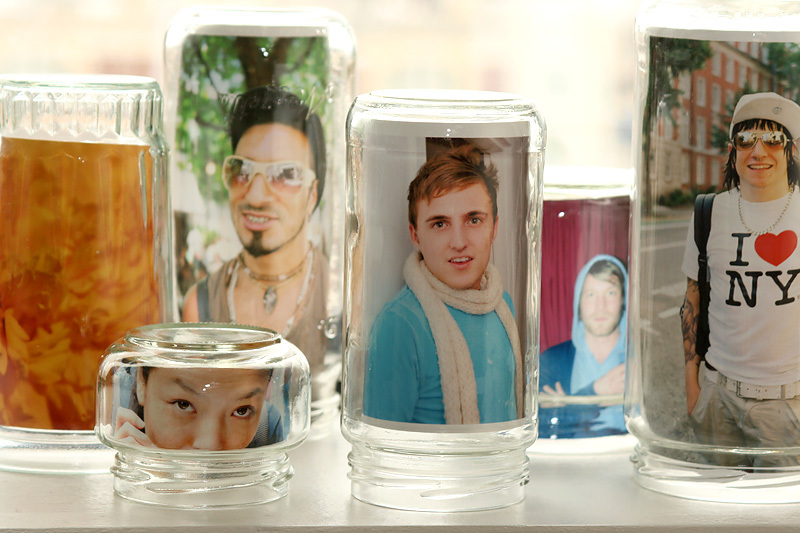 Turn the jar upside down and display your simple thrifty genius in a place of honor! make your photo no taller than the widest part of the bottle. To use a bottle, roll up your photo tight enough to slip through the opening of the bottle. Slip the photo in right-side-up and maneuver it into place using the eraser end of a pencil. If you have (or know somebody who has) a bottle cutter, try cutting a bottle in half and using the bottom half just like a jar. Mix different sizes of bottles and jars, and line your windowsill with them. Use beakers or test tubes to add for that ‚ÄúMad Scientist‚Äù flair! Another great DIY photo project from the cool group over at Photojo!